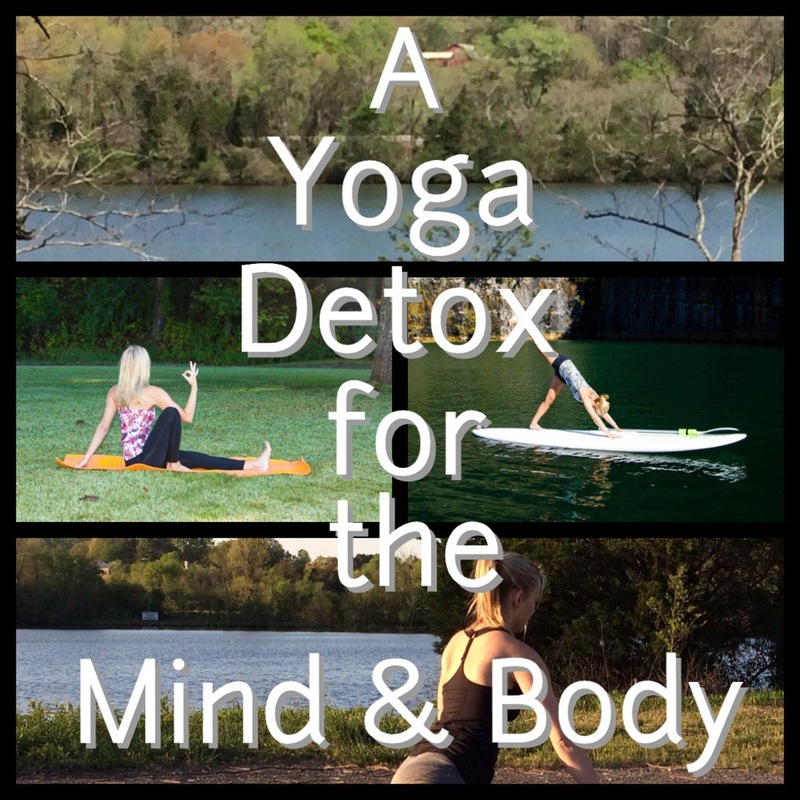 Welcome to Part 3 of the Yoga Detox, Mindful Meditation. Meditation helps clear the mind and create space. It helps us to focus and reinforce positive thoughts. It has the ability to calm and center us with just 10 minutes a day. Meditation is one of the best things you can do for yourself. It’s been used to lower blood pressure, improve memory, lose weight, help with depression and anxiety and the list of benefits continue to grow. Often in meditation we assume that we have to control our mind, that we have to magically make it be still and quiet. It reminds me of trying to calm a hyperactive child. The more effort you put in, the more you try to control, the more they resist. Our mind typically tends to be the same way. The more we try to control it the less control we actually have. Our thoughts swirl from one topic to the next, sometimes leaving us completely exhausted. So how do we control our mind for meditation? It’s simple. We don’t. The beauty of meditation is allowing yourself the freedom to simply let go. It’s not about forcing ourselves to be quiet for 10 minutes but it’s about giving ourselves the freedom to let go for 10 minutes. Walking/Running is a great way to clear your head and focus on the present. Journaling and writing down your thoughts is a perfect way to center yourself. Listening to your favorite music and relaxing is a great way to unwind and let go. Reading is a great way to relax and focus. 1) Commit. Make the decision to commit, set an intention to practice meditation everyday no matter what is or isn’t going on around you. 2) Schedule. Whether it’s first thing in the morning, a 10 minute break at work or at the end of the day. Set aside a specific time each day to practice. 3) Practice. Practice daily, use a timer if necessary. Don’t beat yourself up if your mind wanders or if it takes a while to get the hang of it. Even if you miss a day just begin again the following day. Like anything else it will take time and practice to become a habit. Comfortable seat, hands on heart. Connecting with your heart as you feel the rising and the falling of the breath being reminded of how fragile yet powerful we truly are, that we each have a greater purpose to fulfill. Our heart beats because we are meant to be here in this very moment. Sit here as you breath deeply down into the belly as you feel your heart beating and the rising and the falling of the breath. Allow yourself to connect with your body, allow yourself to feel any emotions that come up. Simply being aware. 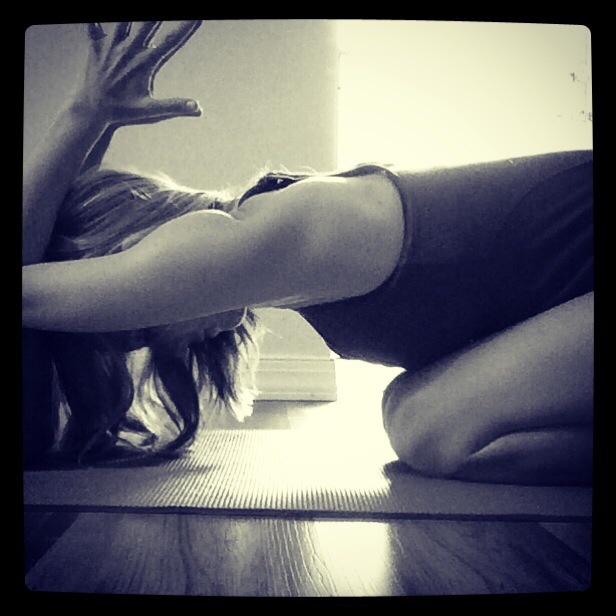 Allow yourself to surrender in this pose. Letting go of everything that doesn’t serve you. Letting go of anything that weighs you down. Just for a moment release the heavy load that you carry. Be still and know that you are exactly where you are meant to be in your journey. Soak up the peace of this moment. Allow yourself to let go and simply be present. Forgetting everything else, even if only for a few moments. Clearing the space, clearing your heart, releasing any hurt, any negativity, anything that doesn’t resonate with you. Let it go. Creating an intention and focus in this meditation. Do you need clarity? Do you need guidance? Whatever you need or want, bring your focus here. Now allow your mind to clear and meditate on this intention. What do you need in this moment? After focusing allow the mind to be free, let it go and follow it. See what comes up. Mudras are symbolic hand gestures that you can use during meditation to set an intention or to simply help you focus. 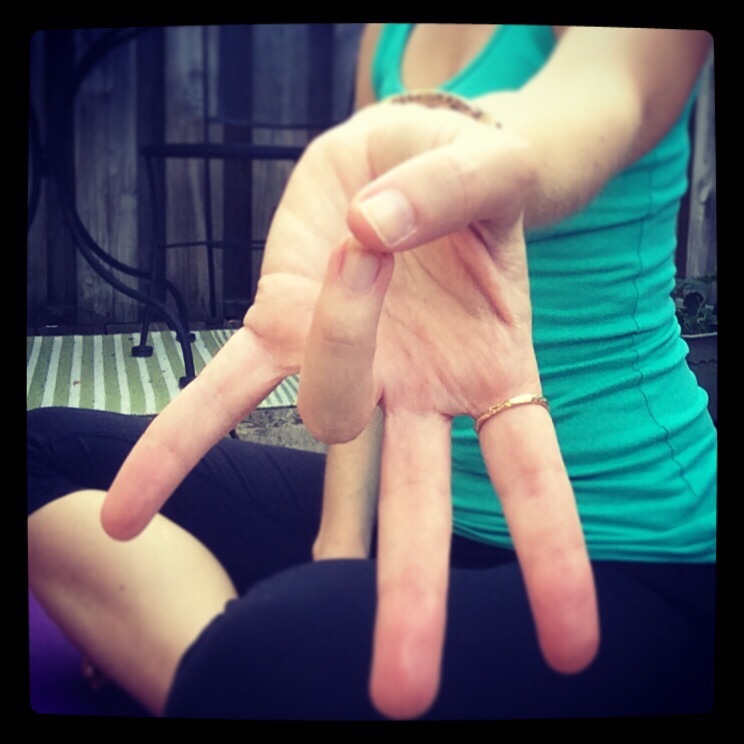 Here are three mudras that you may want to try. Gyan Mudra– touch the index finger to the thumb. This mudra helps to clear the mind, improve alertness and enhances clarity. 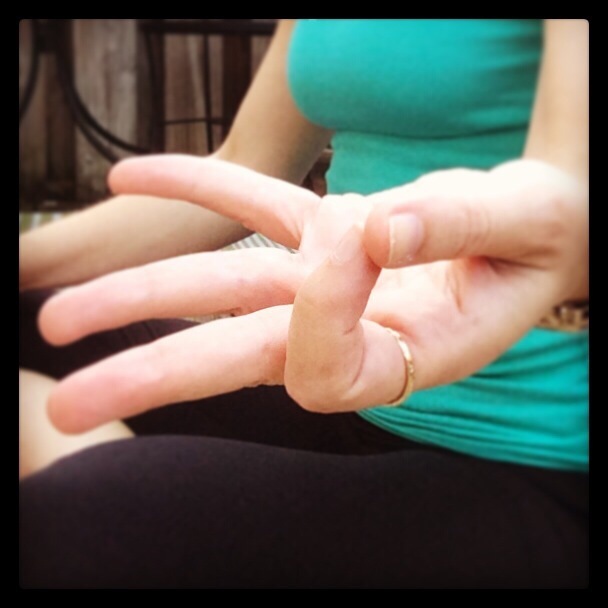 Cosmic Mudra– use your dominant hand to cradle the other hand, with both palms facing up. Tips of your thumbs should be touching each other, forming a compressed oval shape together with your palms. 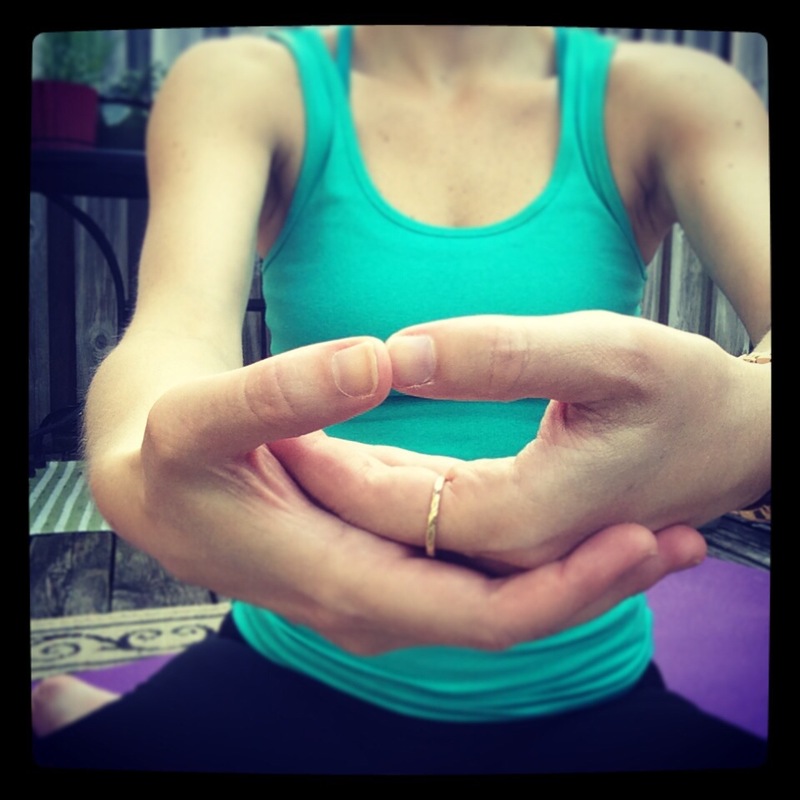 This mudra helps to bring your attention inward and is useful to create self-awareness. Prithvi Mudra– join the tip of your ring finger with the tip of the thumb. Extend all the other fingers and keep them relaxed. This mudra helps to ground and center us, promotes a sense of stability and increases tolerance and patience. I hope you enjoy the guided meditation and the techniques above. Remember it’s a daily practice, a daily effort but one that’s well worth your time and effort. Let me know which meditation is your favorite? Which one resonates with you? Questions? Send them to me. 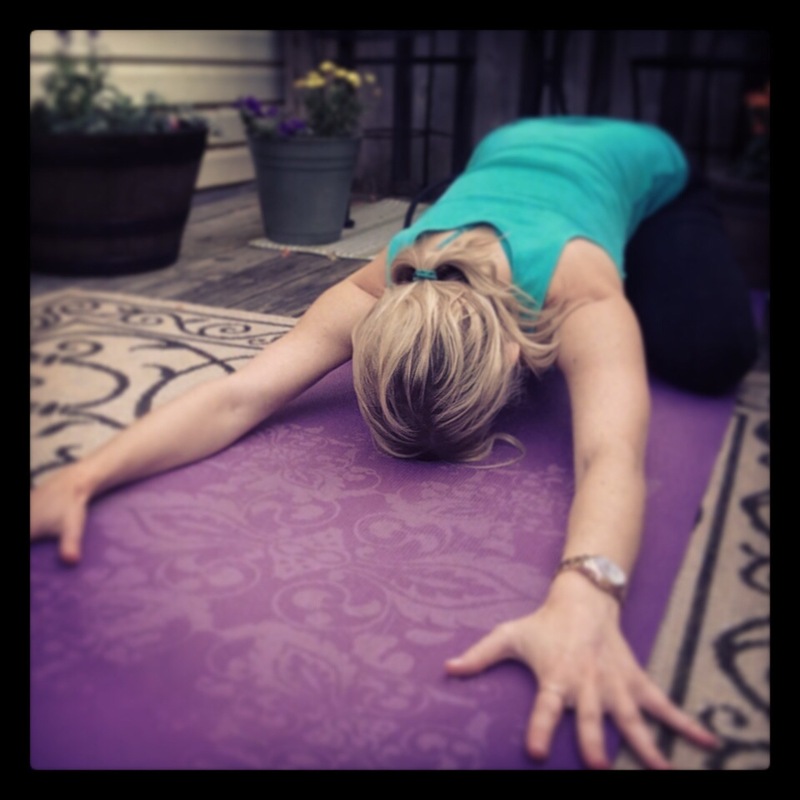 This entry was posted in Meditation, Yoga and tagged mantras, meditation, mindfulness, yoga, yoga poses.